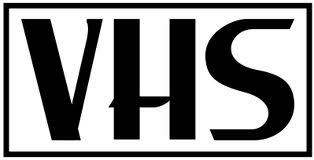 VHS Is Dead: All Hail the Mighty VHS! This blog is not just about ergonomics, but about technology in general. Technology that I have found useful and would like to share with others, or just feel like talking about. VHS is dead, but today I want to talk about the wonders of VHS video cassette recorders, or VCR as they are known. I don’t want wall to wall movies to dominate my lounge, and I don’t care about having a subscription to Sky Sports or the alternatives. So it’s terrestrial all the way for me and here in the UK, our TV network has gone fully digital. With the switch off of the analog signal it looks like my old faithful VHS video recorder is finally on its way out. Yes, at long last, finally VHS is dead. 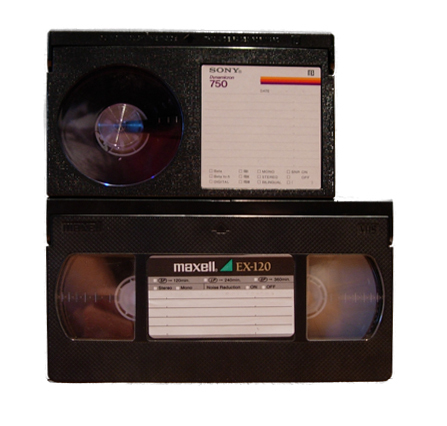 Many will already have embraced the digital revolution and to some, VHS will already be seen as a museum piece. Ok, the picture wasn’t always brilliant and you used to get all those lovely wobbly lines whenever you paused it. Yes, technically it wasn’t as good as Betamax (for those who remember! [smiley]), but it worked. -and let’s face it, it worked for a very, very long time! I’ve had a VHS recorder in one form or another right from when I was a teenager when they first started, through to my mid-forties. BTW that’s around 30 years for those who, like me, are not so good at adding up. They’ve outlasted cassette tape and had significant overlap with DVDs. What other entertainment-related technology has lasted quite so long? Vinyl Records: all but dead except for a recent resurgence among the niche collector. Cassette tapes: either stretched or in the bin. Reel to reel tapes: strong during the 50s and 60s but definitely dead! -Yeah, I remember my parents getting rid of one of those! CDs: still going strong but threatened by MP3. DVD: ok, but threatened by Blu-ray and online streaming and video downloads. Looking back at the list, music CD is the closest anything else has come: an eighties child, compared to VHS which started out around 1975. It could be argued that CDs are still being sold, whereas the last commercial VHS tapes were shipped in 2008.
Who knows what will happen to them in the next few years with the continued increase in online activity. Getting back to the main point, analog has already been switched off in some areas and will go forever in April 2012 and this will affect you if you still have a VHS machine. Just because the analog signal is being switched off doesn’t mean that your video player will immediately cease to function. You can still play all your old tapes, both recordings you made at home, and ones you bought from the shops. What you won’t be able to do is record using the Video’s internal analog tuner. This means that if you happen to have a newer VHS machine with a digital tuner you’re ok. Some people may already be aware of that. What you may not be aware of is if you have an analog VHS recorder but another digital source plugged into the VHS then you can still record from there. We have a TV with its own built-in digital tuner and so we can record from that onto the tape via the SCART lead connection. We just have to remember to leave the TV in standby during the recording, or nothing will happen! You should be able to do a similar thing if for example you have a Freeview set top box. All that notwithstanding, I think I have to be realistic and say goodbye to VHS. I can see that we’ll only have to miss a recording too many times, or the machine itself will finally break down. Some special offer will appear on a brand new, super-duper all singing and dancing blu-ray/hard disk/downloading monster and it will all be over. Your days are numbered, but we’ll miss you (I think?)! In another post, I will have a look at some of the alternatives and the advantages and disadvantages of each. AV Forums An excellent place to ask all those awkward or specific questions that aren’t answered elsewhere; very helpful and knowledgeable people.